My name is Christina Romo, and I am a Korean adoptee. I was adopted by my family when I was two years old. I grew up in a small town in Minnesota with my parents, my older sister, and my younger brother. My husband and I live in Minnesota with our two sons who bring immense joy and laughter to our lives, and routinely remind us that, as parents, we don’t really know what we are doing half the time, but we are loving the process of learning as we go! I have been working in the child welfare world for over a decade. I am not an expert on anything, but I would definitely say I know a thing or two about being an adoptee! I like to think of myself as kindhearted, loving, passionate, caring, deeply flawed, fierce, and genuine. I love with every fiber of my being. I can be incredibly sarcastic and silly at times. My sons are my everything. I have always loved writing, and have always best been able to express myself on paper. “Diary of a Not-So-Angry Asian Adoptee” is a place where I share openly about my journey as an adoptee, a mom, an adoption professional, and an advocate—along with the issues that I am passionate about and inspire me to write. In addition to my blog, I am a regular contributor for The Huffington Post. My writing has been featured on The Mighty, BlogHer, and The Good Men Project. I am also one of the contributing authors for the anthology, “It’s Not About You: Understanding Adoptee Search, Reunion, and Open Adoption”. Thank you so much for joining me on my journey! As a adoptive mom-to-be, I enjoy reading your perspective. I am so grateful for your blog. It expresses how I have felt as an adoptee for my whole life. I am 26 and just starting to recognize the tremendous pain and loss I have suffered from adoption. One person once said that adoption is the only trauma in which the victim is supposed to feel grateful by the whole of society. And that is so maddening. What else is maddening is that all of the support groups for adoption are for birth parent or adoptive parents. I can’t find any for adoptees. So again thank you for your blog. It is another voice who shares my feelings. Thank you so much for your comment. I am so happy to hear you are able to relate. It helps so much knowing that we’re not alone! Thanks for sharing your story and feelings so openly. Absolutely wonderful and comforting to read an adult adoptees words. You have a warm, calm and open heart, only a little angry. Why do you think there are some adoptees who are “angry”, affected so deeply by the anguish of being adopted? Please ignore the b.s. email… thanks for understanding my need to remain anonymous. Please read ‘Primal Wound” by Nancy Verrier and “Coming Home to Self,” both by Nancy verrier. Here is an angel who understands your pain and acknowledges the horrific trauma adoptees experience. I was very fortunate to have been adopted by a wonderful, loving family. I know of many adoptees who were abused and essentially rejected by their adoptive families. Some adoptees have discovered that their birth parents were coerced into relinquishing custody and others were actually kidnapped. Adoption is incredibly complex and I truly feel that there is no right or wrong way to deal with the trauma of losing one’s birth family, culture, and identity. 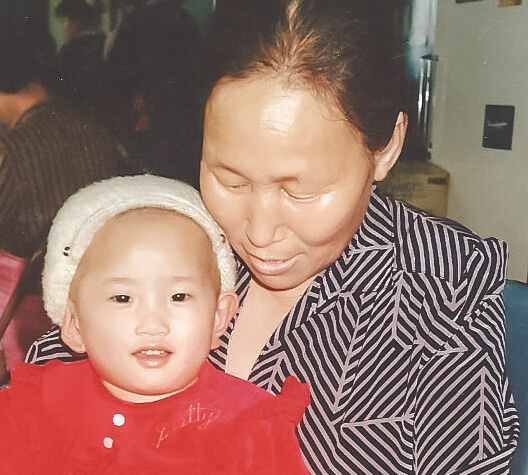 Some adoptees use their experiences to help educate adoptive families and child welfare professionals, and others are advocating for adoptee rights and adoption reform. Though, I personally, don’t necessarily identify with those who are advocating against adoption, I believe their voices deserve to be heard. Oh, I love that you were a Guardian ad Litem. My daughter Marisha (the other half of our blog) mentioned she was considering it. How much time do you need to devote to it each week, would you say? That’s wonderful! I completed a 40+ hour training prior to becoming a GAL. The time commitment varied quite a bit, but I think I averaged about 10-15 hours per month (I only had one case). Let me know if you need additional information! Hello Christina! I have forward a couple people your blog, they are very interested! My 2 daughters go to a Chinese Charter immersion school, and it’s so important for me ,as a adoptive mom to hear how my 2 daughters may feel from the other side of the mountain, so to speak! Still hoping my story didnt throw you off too much lol! Loved reading your article in AdoptTalk. Cultural identity, grief and loss and so many more are things we as social workers try very hard to get families to understand and continually process with their adopted children. Keep up the good work and sharing your PERSPECTIVE. I was adopted by my grandparents. I am Mexican and Jewish, but I have blonde hair and blue eyes. It is interesting, I felt like I never belonged, even to my own supposed heritage. I was never told about my biological dad, as i was adopted by my maternal grandparents. I feel in a way I can relate to some of your feelings, not all of course, and not completely, as I have never experienced your life. But I can say that I know you are strong, insightful and so beautiful! I read that you thought you were awkward when you were younger, well it payed off, since now you are so pretty and wise. I was reading the other comment, it was about feeling angry from adoption. I wonder why I don’t feel angry. Maybe it was because after 19 years of wondering, I finally saw a picture and knew my biological father’s name, and even met him. I also I have always known my biological mother, despite all the trauma she has put me through. I always felt that I was given another chance with my adoption.I hope this doesn’t make it sound like I don’t think angry feelings are valid. They definitely are. I was just pondering why I didn’t feel that way, more so why other’s feel the way they do. Anyway please forgive my rant and possibly TMI, I haven’t ever talked to other adoptees, and I’m still pretty young. Thanks for this, I love Korea, and every part of your blog. Thank you! I just discovered your blog and I enjoy it tremendously! Please take a look at mine, thank you! I enjoy your blog and look forward to seeing your travels. We are the very lucky recipients of two beautiful adopted daughters. We enjoy and open adoption where our girl’s birth families are welcome in our lives. It has been such a beautiful journey for us. 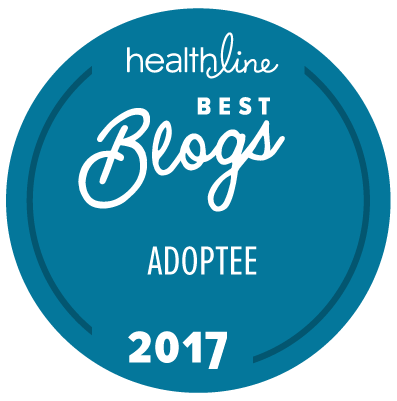 Your work has been one of my biggest inspirations to start blogging about transracial adoption. As an adult adoptee, I am finally realizing how our voices are often not acknowledged in mainstream narratives about adoption. I, too, want to do my part to engage in the conversation. Thank you for your insightful work!